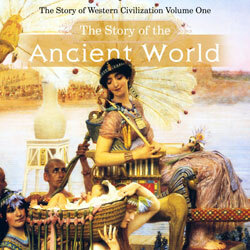 Ancient World FAQ: What chronology do you use for dating the events of ancient history? 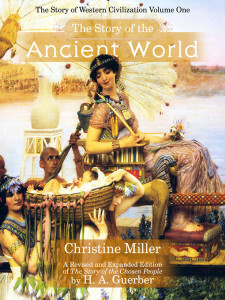 You are here: Home / FAQ / Ancient World FAQ: What chronology do you use for dating the events of ancient history? Biblical history has been taken as authoritative in all cases, and it has acted as the plumb line for the evidence left to us by archaeology and classical history. Looking at “secular” history through the lens of Biblical history has allowed a complete and unified picture of the ancient world to emerge, which makes sense of the monuments, and the often disjointed facts children encounter in library books about this period. However, even among Biblical scholars, there are many different, and sometimes conflicting, systems of chronology for dating the events of ancient history. The Story of the Ancient World followed Archbishop Ussher’s dates without exception, as being the most learned, and logical, and completely consistent with Scripture’s internal evidence.